Bethany and Andrew had their first date at a pizza shop. The pizza wasn't remarkable, but their conversation was. They dated for a year and a half, spending meaningful time getting to know each other. 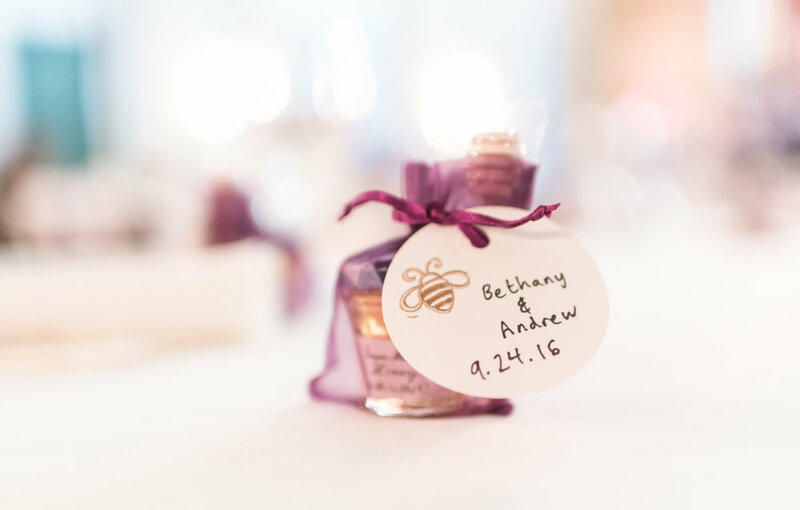 One day while at their favorite park, Andrew proposed with touching words about their relationship. He said he wanted to propose somewhere special to them, where they could always revisit. They were married on September 24th, 2016 at the Mauch Chunk Ballroom in Jim Thorpe, PA. They chose the venue because it was steps away from their home and it had character which they loved. 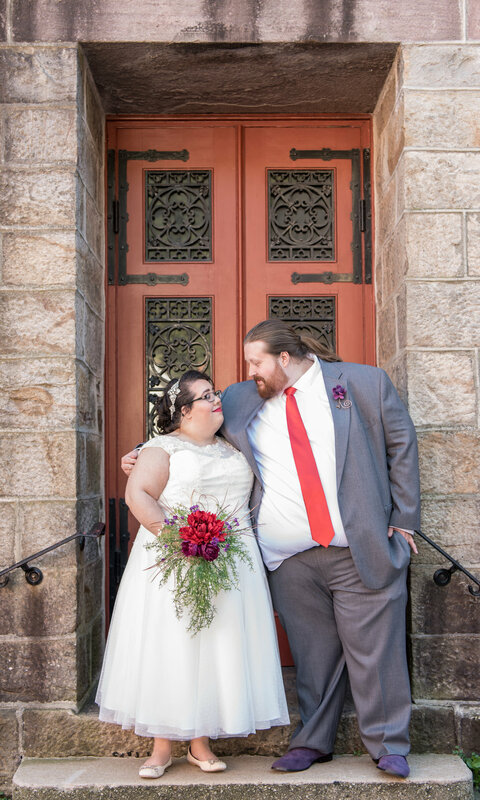 They wanted a vintage inspired wedding, with industrial touches. Most importantly, they wanted the day to feel completely "them." Before the ceremony, the couple and their wedding party walked around town with the photographer, taking photos and receiving congratulations from people on the street. 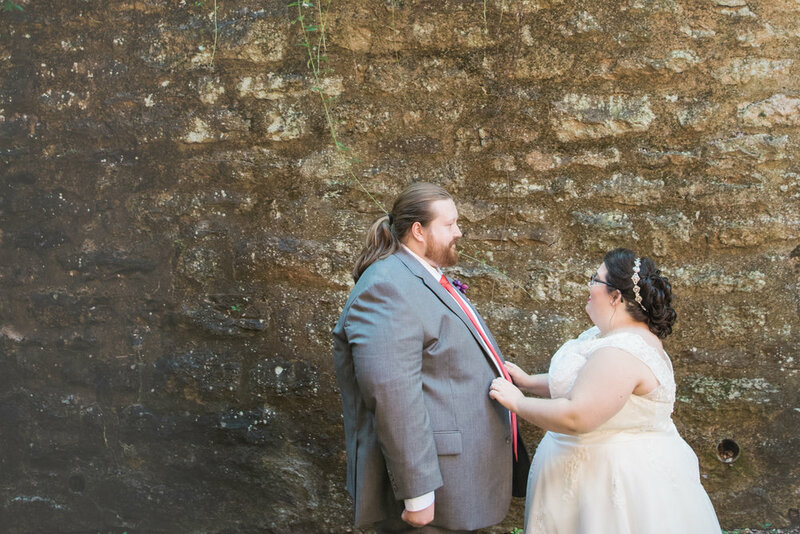 They had their first look in front of a historic stone wall, taking each other in. The good vibes carried into the venue, with references to their town mixed in with the decor as table names. 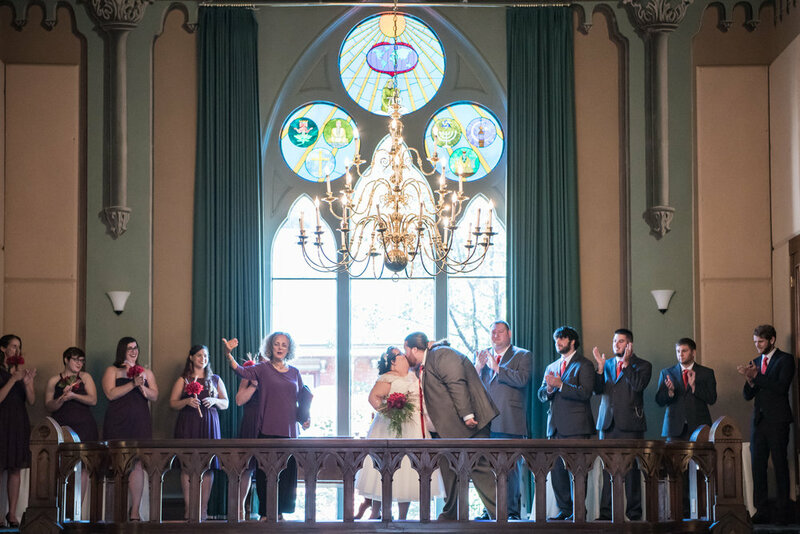 Bethany walked down the aisle to meet her groom on stage in front of large windows under a grand chandelier. 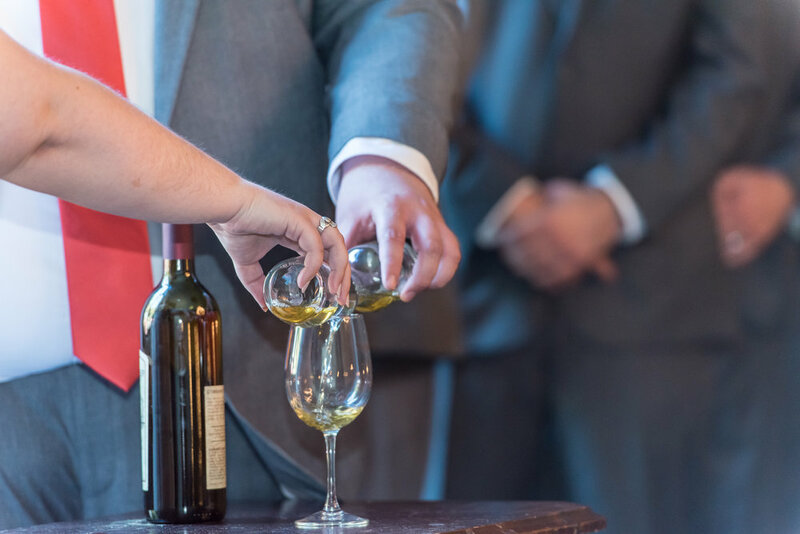 The couple dazed into each other's eyes as they said their vows. They mixed a drink, both putting their own serving into one cup, symbolizing becoming one. After drinking from the cup, they exchange rings and sealed their ceremony with a kiss. Their walk back down the aisle was triumphant, meeting their loved ones with hugs and embraces. Their centerpieces were small vases with river rocks and red silk flowers. Each one was adorned with a copper bow. During the summer, Andrew and Bethany searched through yard sales and markets, buying vintage candlesticks, which they spray painted copper. 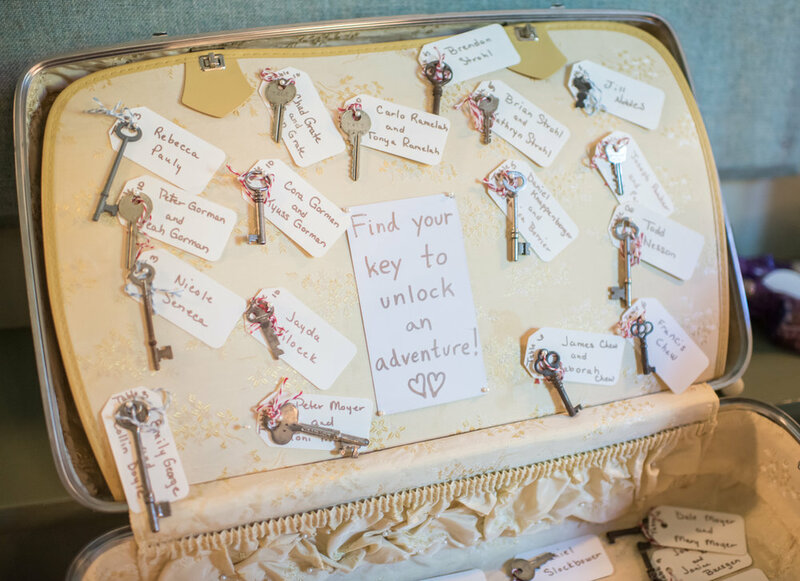 They used a vintage suitcase set incorporated into their seating display. 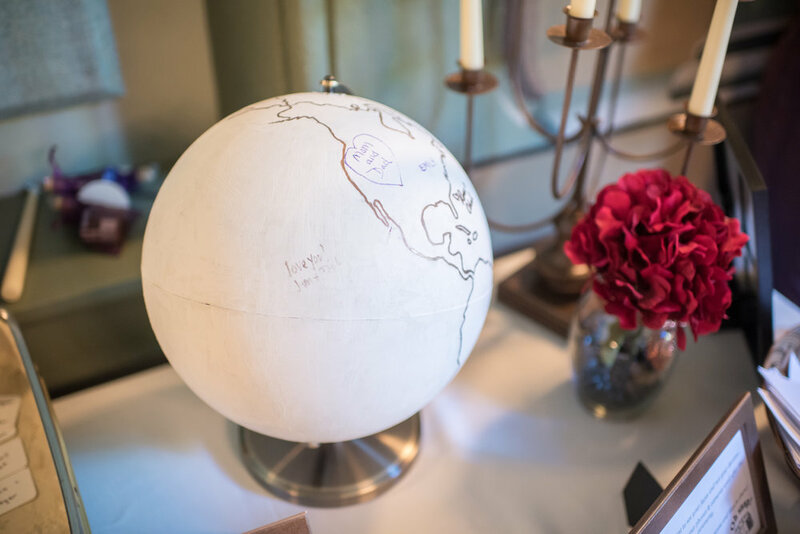 They used a globe painted white and outlined continents as their guestbook, allowing their loved ones to sign in areas significant to them. Dancing filled the ceremony. Smiles and laughter were seen throughout the night light venue. To tip off the night, they skipped the wedding cake in favor of an ice cream bar. There were a couple of flavors, including a non-dairy options, and a whole ton of fun toppings. Their 80 guests loved the cool down for a hot day in September. 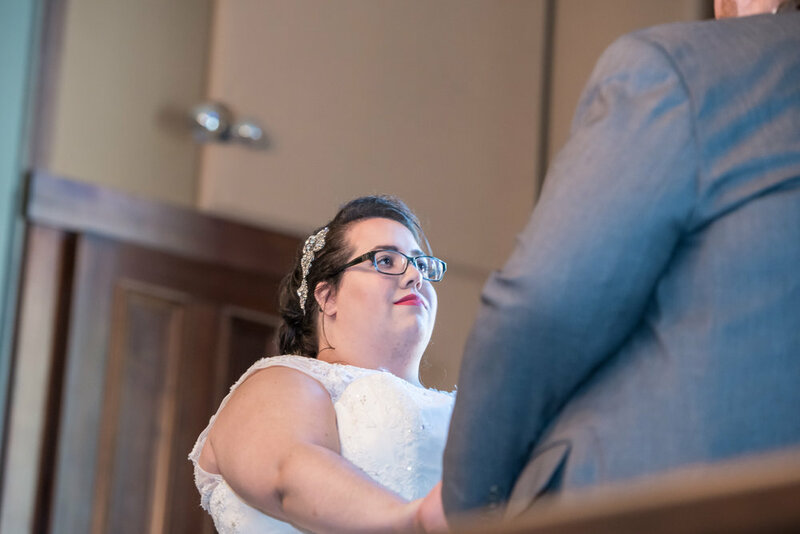 Bethany's advice to other brides is "don't worry about having the most picture-perfect wedding or the most Pinterest-y. Focus on the stuff that matters to you and your partner and have the most YOU wedding ever." With so many details about the place they live and love in, their wedding was a perfect display of their marriage that feels like home.